[User Def. 2], or [User Def. 3]. parameters such as sharpness and contrast. to the camera with EOS Utility (EOS software, p.420). 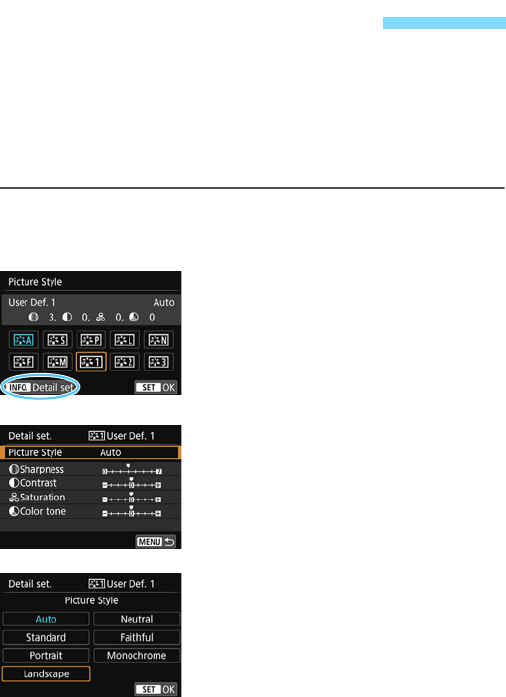  The Detail setting screen will appear. select the Picture Style here.